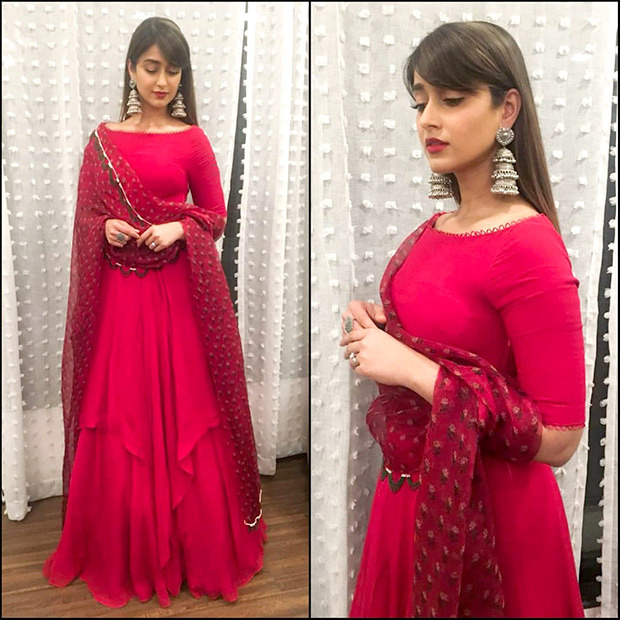 Ileana made an appearance for the extravagant Ganesh Chaturthi celebrations at the Ambani’s. 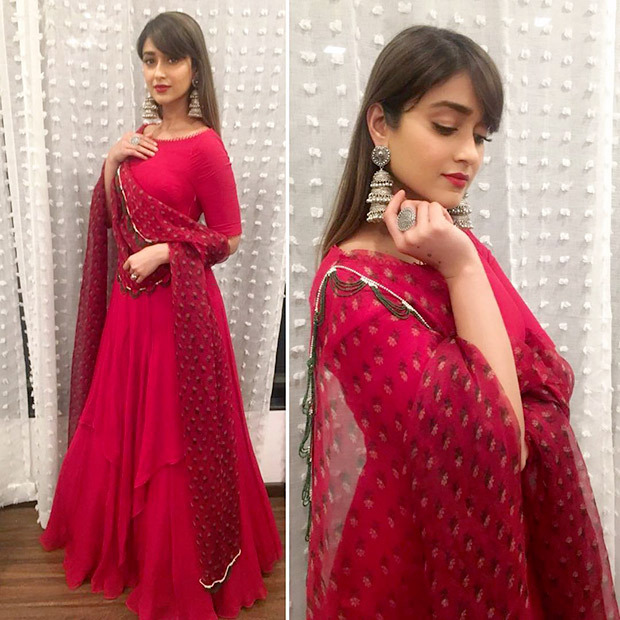 Styled by Sanam Ratansi of Style Cell, Ileana D’Cruz flaunted a bright red Ridhi Mehra ensemble. 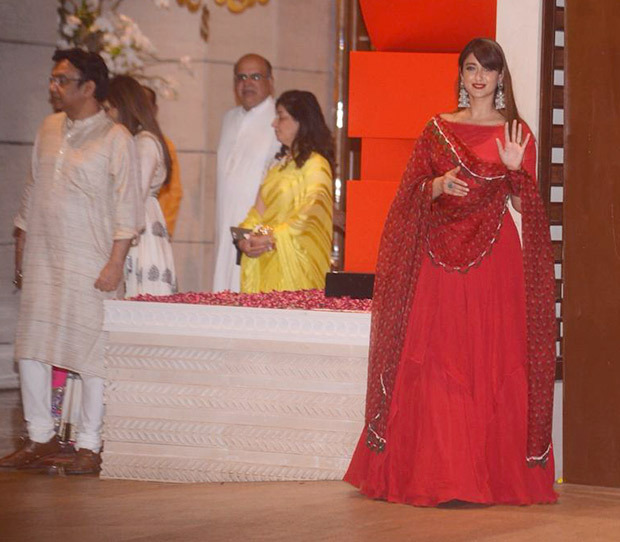 The ensemble featured a floor-length Anarkali and a dupatta. She accessorized her look with silver jhumkis from Purab Pashcim and rings from Azotiique. Bright red lips, side bangs and sleek hair rounded out her look. Also Read: Couple Goals: Ileana D’Cruz wishes beau Andrew Kneebone on his BIRTHDAY in the cutest and romantic way! On the professional front, Ileana will be seen in director Sreenu Vaitla’s Telegu venture, Amar Akbar Anthony.